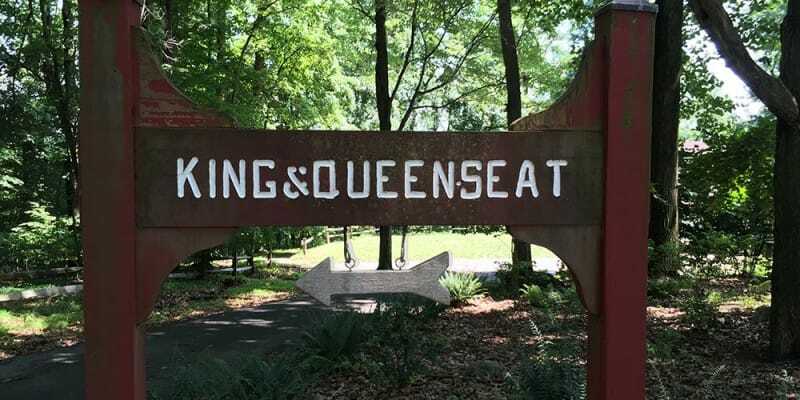 King & Queen Seat – great name, right? Great name, and even better views – especially for Maryland. 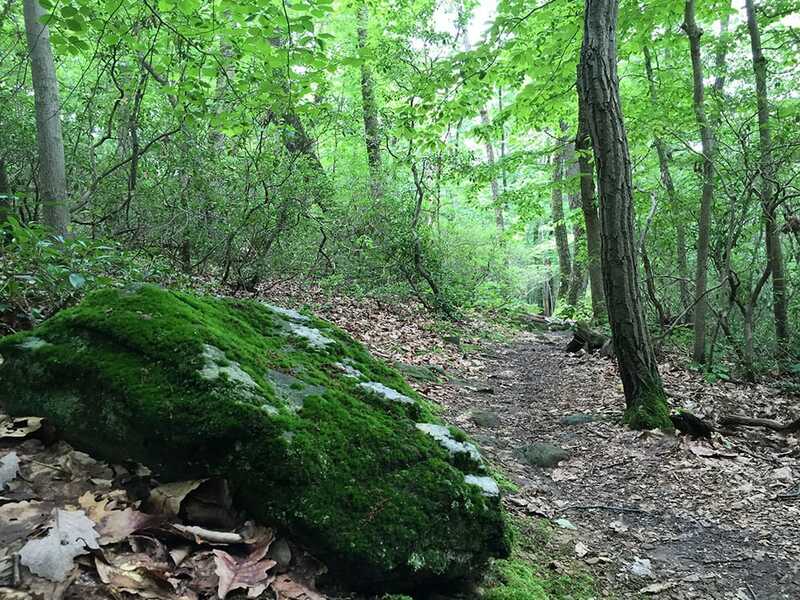 This short hike at Rocks State Park in Maryland is a must for any locals. 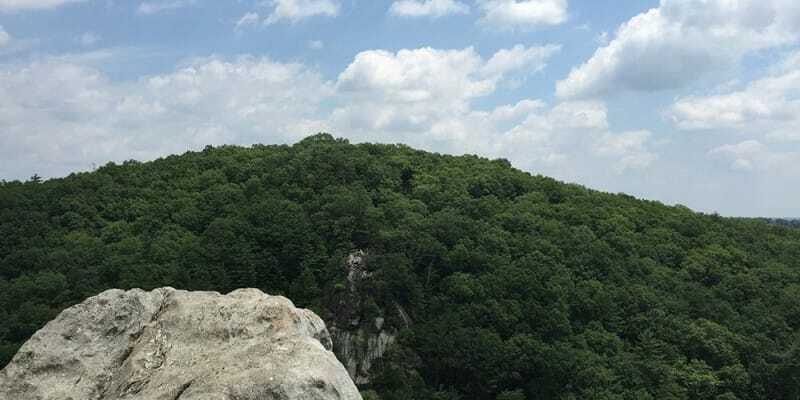 Maryland’s Rocks State Park is known for two things: being home to the second highest vertical waterfall in the state, and also housing the aforementioned King and Queen Seat. OK, ok. So what is it? 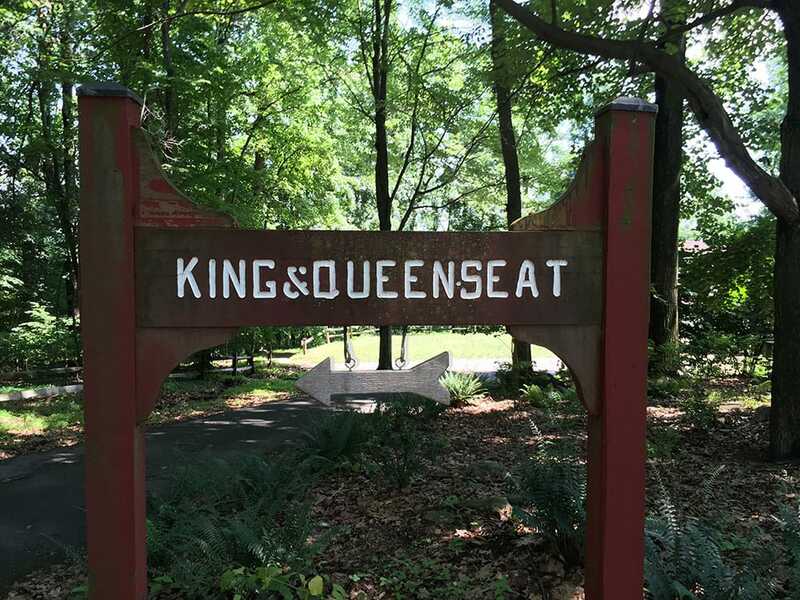 The King & Queen Seat is an area once believed to be an ceremonial gathering place of the Susquehannock Indians. It is a collection of impressive natural rock outcrops with excellent views of the surrounding area. 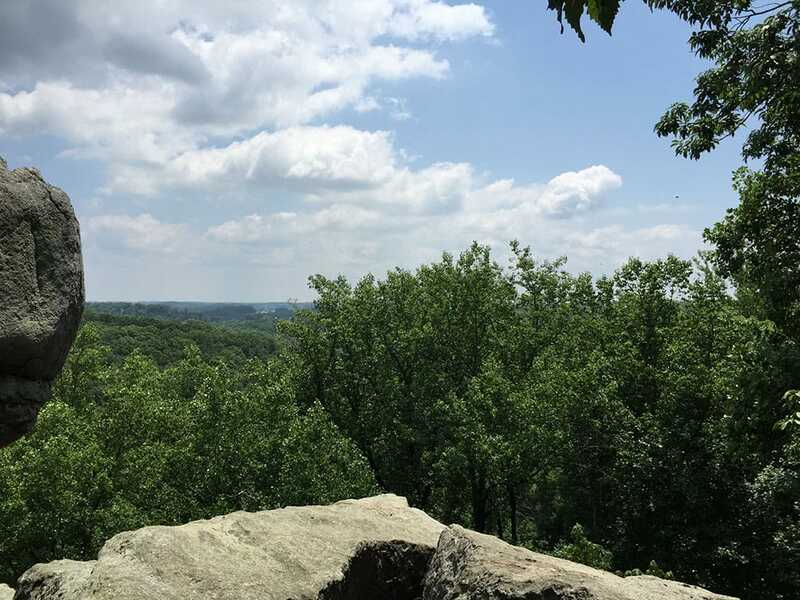 The groups of large rocks – some almost 100 feet in height – climb almost 200 feet above Deer Creek below. 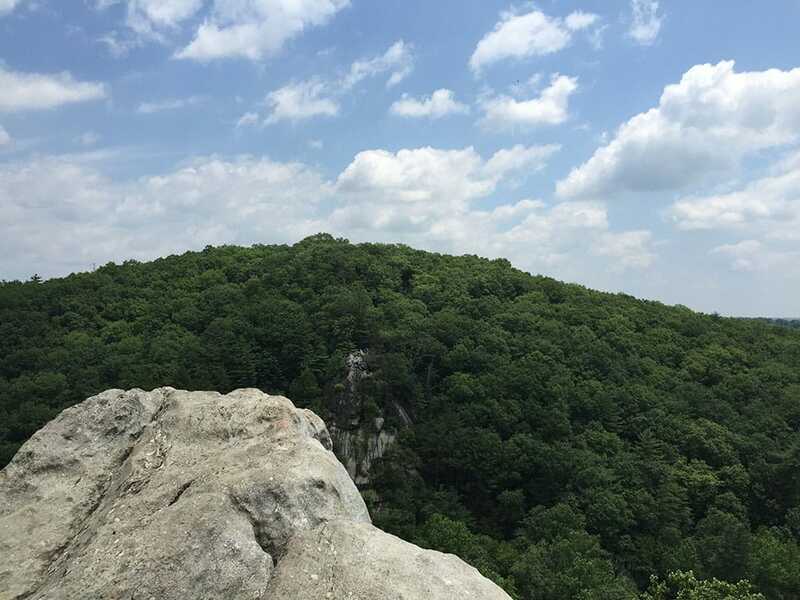 Climbers often use the area for more vertical rock climbing, but there is also a small group of hiking trails in nearby, as well. 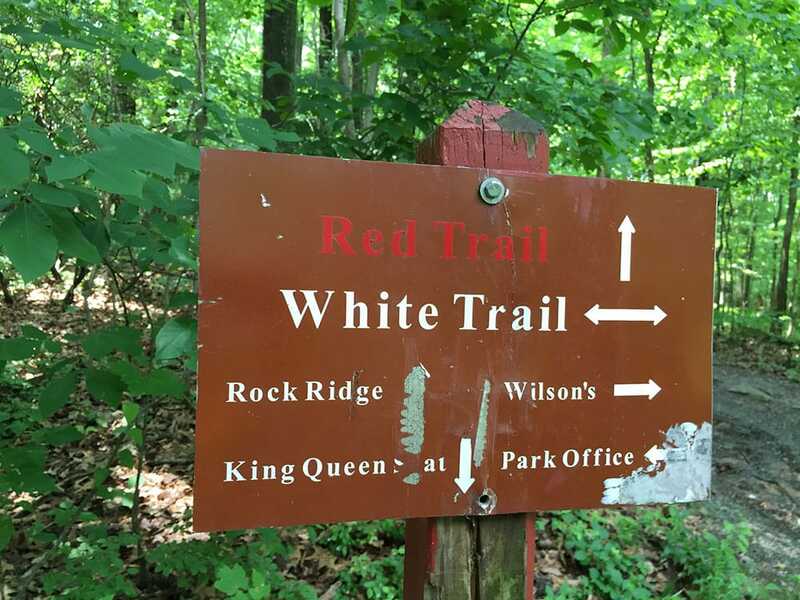 The King & Queen Seat can be accessed right off of the White Trail Loop, which is, not coincidentally, the trail we took this fine, humid, hot, muggy June day. 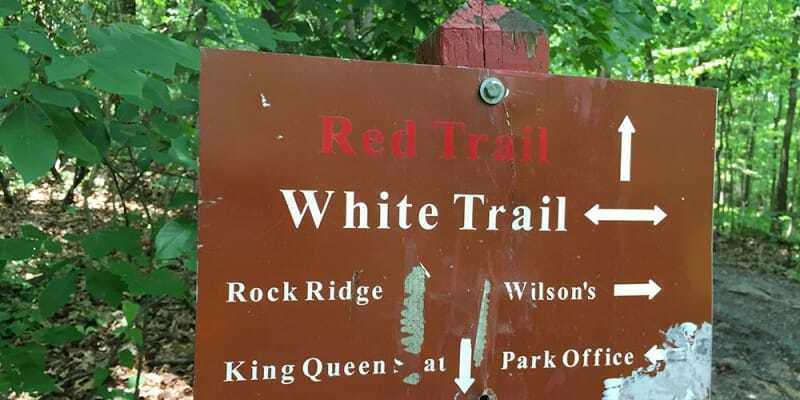 From the parking area (costs $2 per day), we took a short walk on the Red Trail directly to the King & Queen Seat and did some casual climbing while we took in the views. You could hear the climbers coming up the walls from the creek below and a lot of hikers were hanging around taking breaks. After about 30 minutes, we headed back down the Red Trail to the junction with the White Trail and started the actual hike. 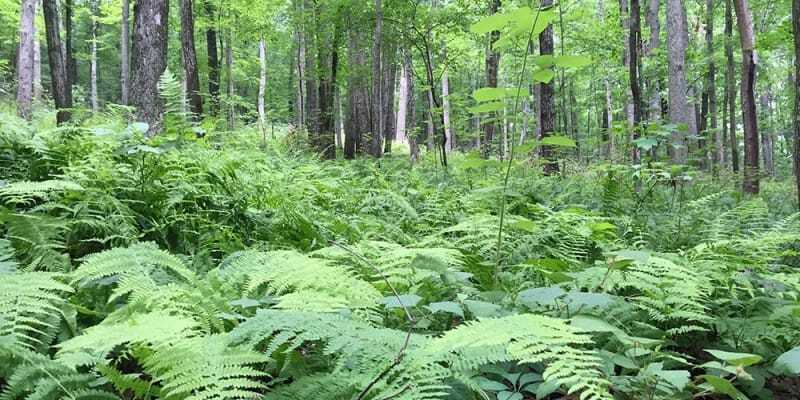 The White Trail wound through the forest and presented June in Maryland in all of its 99-percent-humidity glory. The shades of green surrounding us in every direction were truly impressive. 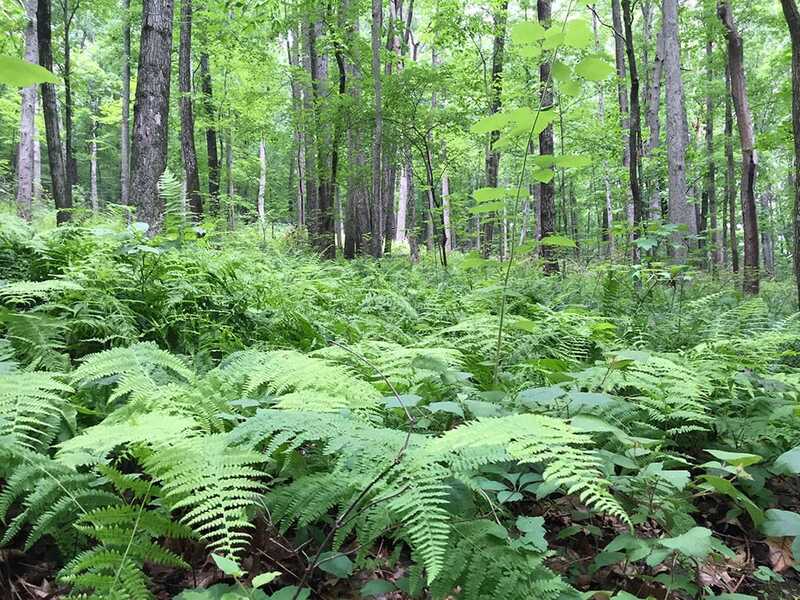 We slowly made our way through the fields of green – moss, grass, ferns, trees, bushes, other green stuff, even more green stuff – until we looped back to the junction with the Red Trail. One more quick trek back to the expansive views of the King & Queen Seat and we called it a day. Note: This is an excellent hike for kids of all ages. is the only way to access the King & Queen seat to rock climb it? or can you walk up it? It’s definitely a walk-up. You can climb some of the larger rocks when you get to the top but that’s completely optional. You can get great views from just the walk-up. Enjoy! Been going there since I got my drivers license in 1967… great spot. 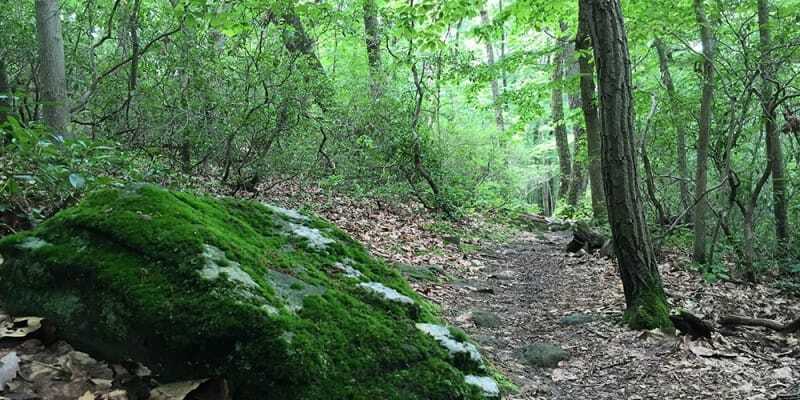 We used to hike back to Kilgore Falls along the power lines before it was ever developed. Interesting thing about the falls, is that it was on a turnpike in the 1800s, the current path from the parking lot follows the old roadbed.